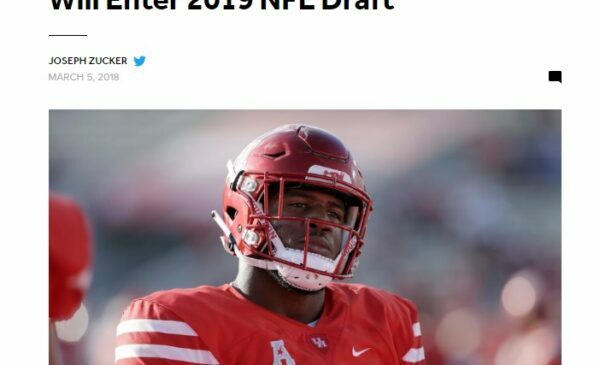 Ed Oliver is a destructive human being. 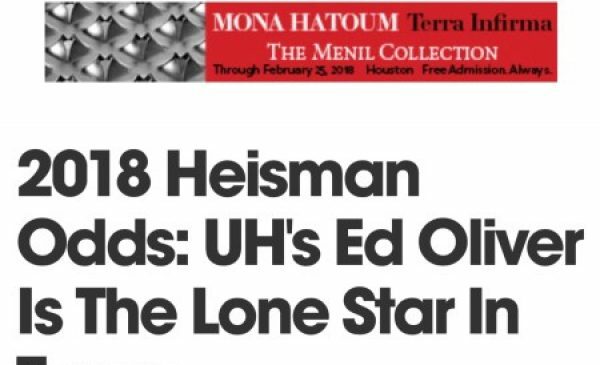 After all, it was Oliver and the Coogs that gave the blueprint on how to blowup the Louisville offense, led by Heisman Trophy winner Lamar Jackson. 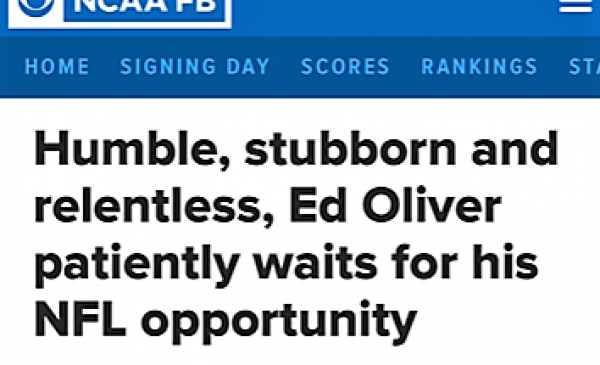 And it was Oliver that had 2 sacks against future Heisman winner Baker Mayfield. In his first game in college. 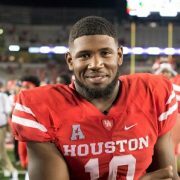 Ed Oliver has played 2 Heisman winners with 2 sacks on each and just importantly, his team scored 2 wins. 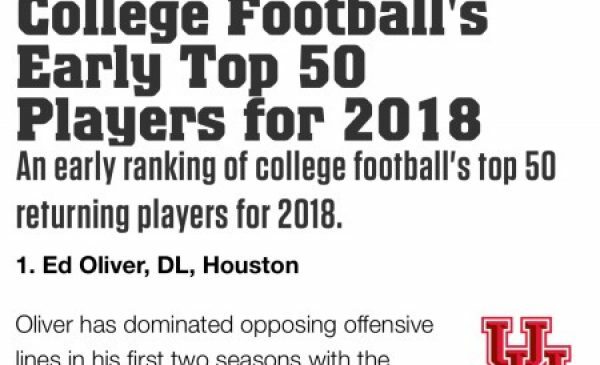 Ed Oliver is a game-changer. He’s not normal. How can a man his size be that agile? That explosive? How is he defending running plays all the way to the perimeter? A 290-pound man should not be able to stop an outside run on one play and defend a pass to the other side on the next. But there he is. 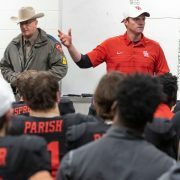 Big Ed has broken up 12 passes in his 25 games at Houston. And with a similar year to his first two, Oliver will jump into the top 10 in tackles for loss in a career (records go back to 2005). He would be the only player in the top 20 to play just 3 seasons. 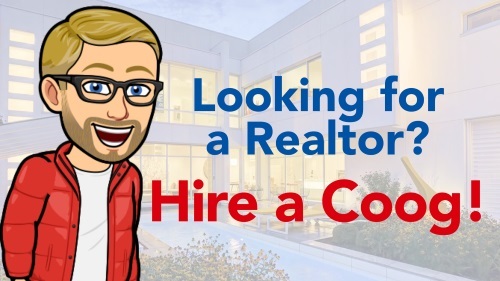 Part 1: Is It Even Possible? 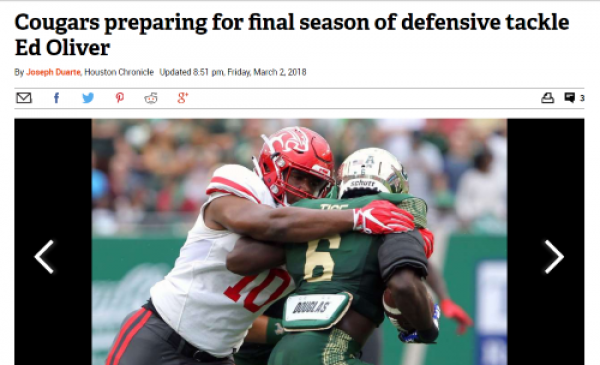 – Is it even possible in this era for a defensive player to contend for the Heisman? Especially if there’s a stud quarterback in play? 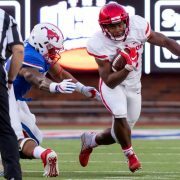 Ed Oliver’s named has been tossed around as a dark horse Heisman candidate since the Heisman show ended last year. Part2: What It Will Take To Get Ed To NYC – Ed would definitely need some luck. The Heisman is a national award but voting tends to be regional. 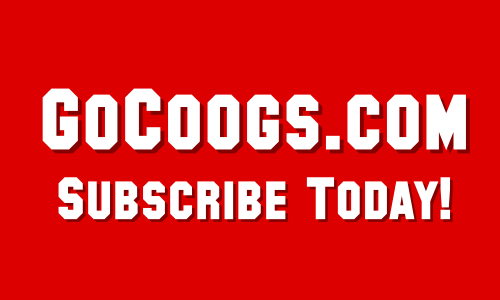 The Cougar great would need there to be no consensus. Part 3: Getting ESPN On His Side – Oliver also needs the media on his side. 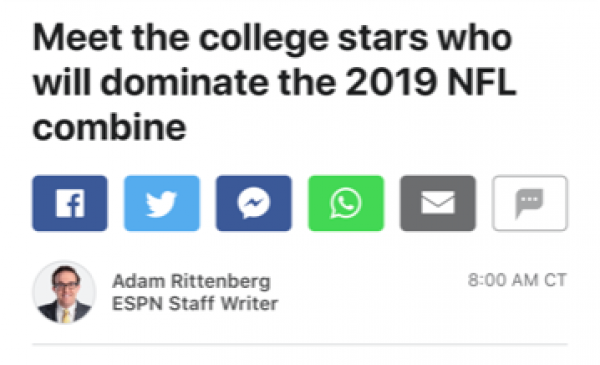 And by media, I mean ESPN. 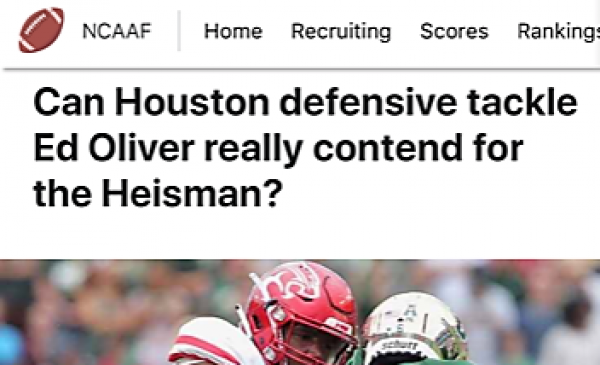 The Worldwide Leader starts hyping their TV show, the Heisman presentation, in August. 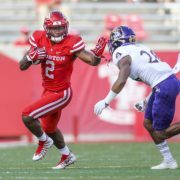 Big Ed Must Dominate Every Game – More than anything, Ed Oliver Jr. has to dominate. With better defensive players around him in 2018, he should have more opportunity to get in the backfield and agitate the offense. 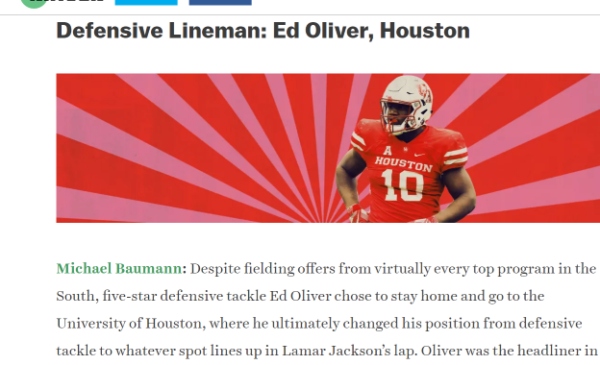 LINK: Can Houston defensive tackle Ed Oliver really contend for the Heisman?